The post A client’s letter to his therapist appeared first on Central Clinic. View Original Source (CentralClinic.org) Here. The post Partnership yields new videos appeared first on Hamilton County Job & Family Services. The post St. John School donates books for children at HCJFS appeared first on Hamilton County Job & Family Services. The post Ohio Means Jobs employee earns county recognition appeared first on Hamilton County Job & Family Services. The post We wore blue today to raise awareness of child abuse appeared first on Hamilton County Job & Family Services. This weekend the movie, The Public, opened in theaters across the country and here in Cincinnati. The movie was filmed and set in Cincinnati. And tells a fictional story of the takeover of the downtown library by a group of homeless men during a brutal stretch of cold weather. I’ve been working on issues related to homelessness locally for 21 years. So when I learned the movie was going to be made, I was concerned that the way people experiencing homelessness would be portrayed. That it would lead viewers to be less sympathetic, less concerned about the well-being of our homeless neighbors. I was however encouraged when contacted by Emilio Estevez, the writer and director, for input on how to make this fictional work as realistic as possible. After providing some input, and two years later viewing the final product, I am satisfied with how The Public depicts those experiencing homelessness. And quite frankly I really like the movie, but that does not mean it was entirely accurate in how it represented the issue of homelessness. First and foremost, I have to point out the difference between the fictional situation portrayed in the movie (in which homeless shelter beds were all full or inaccessible) versus the local reality. In Greater Cincinnati, several organizations practically lift heaven and earth to make sure there are emergency shelter beds available for those who want one when it is bitter cold. Specifically, Shelterhouse (which we help raise the funds needed to provide WinterShelter.org) the Emergency Shelter of Northern Kentucky, and Price of Peace Lutheran Church go to great lengths to make sure there are warm beds available and accessible when temperatures drop. Who is homeless in Cincinnati? It is also important to understand that the characters in the movie are most representative of a certain sub-set of people experiencing homelessness, not of all homeless people. In the movie, the homeless people in the library are almost entirely male, and those who take control of a section of the library are all men. In reality, our total homeless population (in shelter and unsheltered) in Hamilton County is about 40% female and 60% male. Now, when you look closer at only those people sleeping specifically on the streets, the group specifically portrayed in the movie, they are in fact more likely to be men. However, even among that population, about 70% are male and 30% female. Clearly women experiencing homelessness, and the unique challenges they face, are minimally represented in the film. The common myth is that most homeless people are in fact sleeping on the streets. In reality, 86% of people experiencing homelessness in Hamilton County sleep in a homeless shelter exclusively. Another 7% go back and forth between the streets and shelters, and the remaining 7% sleep exclusively on the streets or in places not meant for human habitation. Nationally, about 34% of homeless people are on the streets. I mention this to highlight the exceptional work of our emergency shelter operators, who work not just during the winter but year-round to help people off of the streets, where they are more likely to encounter harm. Contrary to what a viewer might assume to be true about Cincinnati from watching the movie, we have fewer people sleeping unsheltered locally than most communities across the country. What is not well understood about homelessness is the number of children, particularly children in families, who are homeless. It is regularly assumed that homeless people are in fact on the streets and that children are not homeless. It might surprise you to learn that in 2017 we had 72% more homeless children in Hamilton County (1,692) than we had people sleeping outside on the streets (979). In short, a group of homeless people the general public assumes does not exist actually massively outnumber a group the general public assumes make up the majority of the homeless population. Unfortunately the number of homeless families and therefore children is on the rise. The thing I am most pleasantly surprised by in The Public is the use of humor. I know that I speak for many who have experienced homelessness and those who go to work each day trying to end homelessness, when I say that humor is simply a part of the equation. If a person can’t find a way to laugh at some of the ridiculous turns of bad luck or random bad circumstances that led to a person becoming homeless, they won’t be able to weather the storm. Or in the case of professionals working in the field, won’t be able to keep working on this issue for long. Sometimes you have to be able to laugh at a situation before you can get to work changing it. And I thought The Public captured that reality very accurately. I’m very encouraged by the attention the movie is bringing to the issue of homelessness, particularly in Cincinnati. And for that we are very grateful to everyone involved in making the film, particularly Mr. Estevez. The post Our Take on “The Public” appeared first on Strategies to End Homelessness. Monique Mays and Teresa Swain accepted the proclamation. The Ohio House of Representatives recently recognized our agency’s Children’s Services section. The house issued a proclamation honoring the section being named Agency of the Year by the National Association of Social Workers, Ohio Chapter. The Ohio Chapter of the National Association of Social Workers selected HCJFS as the best of all public and private agencies in an 11-county area. NASW is the largest membership organization of professional social workers in the world. The job of a social worker can be tough. Dealing with families at tough points in their lives can be so challenging and can take a toll on your emotions. So we appreciate this recognition of our workers’ diligence. The post Ohio House recognizes Children’s Services section appeared first on Hamilton County Job & Family Services. We all know there is good work being done at HCJFS every single day. Now, we have a new employee whose job it is to help those outside our walls better understand all that we do and how we are willing to listen and partner in efforts that improve our service to families and children. Chandra Mathews-Smith started Monday as our new assistant director – community strategies and engagement. She wasn’t looking for a new job, but immediately was interested in this position because of her respect for Director Moira Weir, whom she has known since they were both caseworkers. They both also sit on the board of the Cincinnati-Hamilton County Community Action Agency. Mathews-Smith is the board’s chair. But her work goes beyond issues pertaining to Children’s Services. She also worked at the Council on Aging of Southwest Ohio as a consultant, helping to keep seniors out of the hospital, and as vice president of operations for Medicaid services. She’s worked on poverty issues, too. She grew up in Michigan, but has called Cincinnati home for 29 years. She raised three daughters and a fourth attends Turpin High School. She is a proud grandma of three. She is also a member of Delta Sigma Theta sorority, a sisterhood of predominantly black, college-educated women who work on service projects in education, health and economic development. Mathews-Smith was chosen one of 10 Women of the Year last year by The Enquirer and The Greater Cincinnati Foundation. She was selected for her work with the Community Action Agency and C&C Premier Cleaning, a company she co-founded where the goal is to employ people who have felony records or other barriers that make it difficult for them to find work. She expects to return to a lot of churches and other locations as she heads back out into the community on behalf of HCJFS. She wants to help the community understand more about the agency and how we want to work together to make positive change in all our service areas. 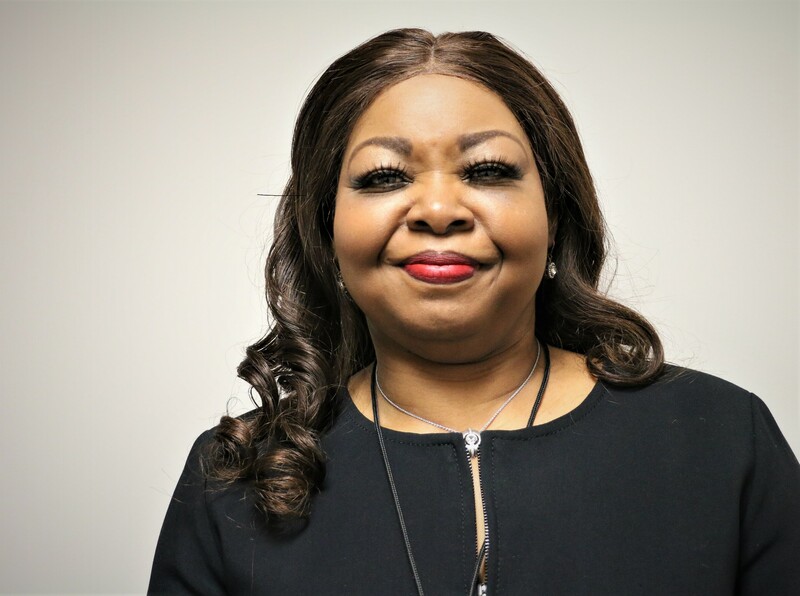 The post Meet our new director of engagement, community strategies appeared first on Hamilton County Job & Family Services. An act of civil disobedience turns into a standoff with police when homeless people in Cincinnati take over the public library to seek shelter from the bitter cold. So begins The Public starring, written and directed by Emilio Estevez. An unusually bitter Arctic blast has made its way to downtown Cincinnati and the front doors of the library where the action of the film takes place. At odds with library officials over how to handle the extreme weather event, some homeless patrons turn the building into a shelter for the night by staging an “Occupy” sit in. The post The Public appeared first on Strategies to End Homelessness. Delores Williams is tough, and she is used to hard work. But getting her Commercial Driver’s License was a different kind of challenge. She worked in concrete construction for 16 years, but when she was sidelined by an injury, she took advantage of an HCJFS program that paid for her to receive training from Napier Truck Driver Training. “I always wanted my CDL,” she said. The HCJFS program allows certain benefit recipients to complete the program and covers the cost of tuition. Williams said the amount if information covered in the classroom, combined with learning how to drive and back up a tractor-trailer, was overwhelming. “I just went for it. I didn’t think it would be as tough as it was,” she said. She graduated January 31, but her license test wasn’t until mid-February. Williams felt like she didn’t “get it” when it came to driving the big rig, so she made a plan of attack. Napier allows students to return any time after graduation to refresh skills. Not working or having any income, but going to the school was a challenge, but she came back into the training center every day after she took her son to school and stayed up to 7 hours studying and driving. “I knew sitting at home wasn’t going to make me get it,” she said. But when she was at home, she still studied. “I would put a video on while I was brushing my teeth. She knew many people took up to three tries to pass the CDL test, but she was determined to “one and done” it. Delores has been working for two weeks now, making deliveries at night to businesses like car dealers. She’s on track to earn more than $60,000 this year. Maneuvering between brand new cars is more difficult than she expected. So, what does she do after driving a truck all night? A couple days a week she goes back to Napier, to help others learn. She said the training process can be frustrating and it takes a good support system to do well. “I just try to encourage people,” she said. Williams says helping other students is one way to give back to all those who helped her. She is thankful for HCJFS for providing the tuition for the program; to the instructors for helping her to “get it;” and for her fellow students for encouraging her. The post Williams “embraces the difficult” with help from HCJFS appeared first on Hamilton County Job & Family Services.